Contributors are from Anglican, Baptist, Presbyterian, Free Church and other backgrounds. “Theological integration” is one of our prime concerns – to integrate biblical studies, doctrine, and pastoralia in creative and useful ways, avoiding the over-specialized nature of much seminary and theological college education in order to produce more rounded and effective theologians and preachers for the 21st Century. Technical Assistance: Ben Desmond (Web Designer) and James Taylor (Audio Editor). The Editor of Theologian is Lee Gatiss, who is currently doing research in Cambridge on 17th century biblical interpretation. For the story of the site's name, see www.gatiss.net. To Link to this site, please link to www.theologian.org.uk. Theologian is happy to support and link to the organisations listed on the right of this page, as being of a similar ethos. Please do inform us if you link to us, but permission is not necessary. Legal Notice: Material on Theologian is provided for non-profit educational use, for personal edification, and research. There is no intention to infringe the copyright of any third party and where copyright material is used the Editor, in good faith, believes it to be “fair use”, and without intention to compete commercially with alternative providers. Theologian is a not-for-profit ministry (indeed, it is quite the opposite!). If you have any queries regarding this or any other legal aspect of the site, please contact copyright [at] theologian [dot] org.uk. Authors of articles on this site express their own views which are not necessarily those of the Editor or Editorial Board, or of other organisations with which they are associated. Final responsibility for this site rests entirely with The Editor. 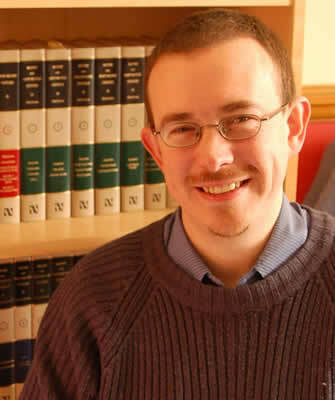 Lee Gatiss is the editor of Theologian and currently doing research in Cambridge on 17th century biblical interpretation.